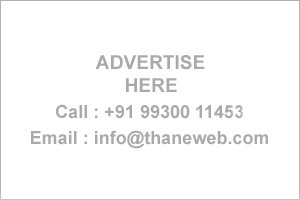 Thane Business Directory - Find list of Ayurvedic Doctors in Thane, Mumbai. Ayurvedic & Panchkarma, Chikitsa 306, Shivneri Bldg, Opp to Gaondevi Maidan, Nauapda,Thane. S-2, 13, Vedant Commercial Complex, Vartak Nagar, Thane. Shree Ayurved and Panchkarma Centre, 122, 1st Floor, Laxmi Market, Vartak Nagar, Thane (W). Shree Ayur & Panchakarm Centre 122,Laxmi Mkt.,Vartak Nagar,Thane. 1,Al Rahim Bldg,Dr.Ansari Rd.,1st Rabodi,Near Jumma Masjid,Thane West. 2,Satyapushpa Soc.,opp.S.E.S.High School,Panchpakhadi, Thane West. Shop.no.5,Rose Apt.,First Left LaneOn Mumbradevi Rd.,Opp. RailwayStation,Mumbra,Thane. Govind Clinic, Bhaji Market, Near Bldg. No. 5, Kopri, Thane (E)603. Siddhivinayak Clinic,Vartak Nagar, Bhim Nagar,Thane West. Life Care Poly Clinic,Shop No.33,S- 1,Vedant Shopping Comp.,Vartak Nagar, Thane West. Shop no .1, Park,Shiv Shristi Savarkar Nagar,Thane West. Ayurvedic Panchkarma Consultant, Ayurved Niketan, Ayurvedic Panchkarma Hospital Plot No.37/D-8 Pratik CHS.,Opp.Yashodhan Bus Stop, Lokmanya Nagar,Thane West.